FREE Canvas Storage Bin with Every Order! Parent and Baby Activities to Enjoy Every Day! 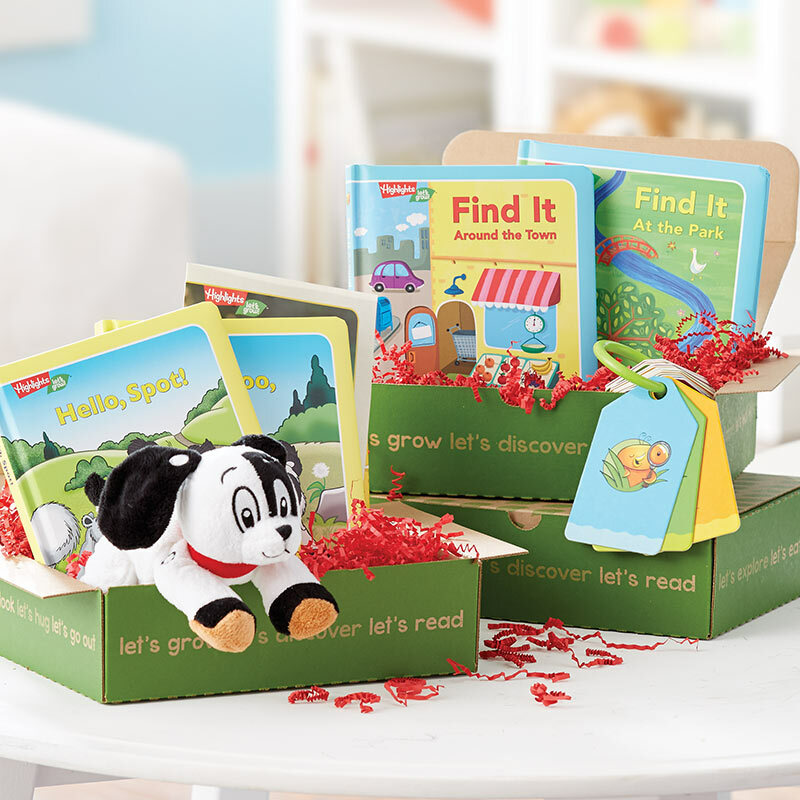 Let’s Grow Play & Learn boxes deliver fun and learning right to your door! Themed around moments that parents and little ones experience together, Let’s Grow boxes are more than just baby and toddler activities. Each box is carefully crafted to help you and your child find fun, memorable experiences within the activities you do every day. 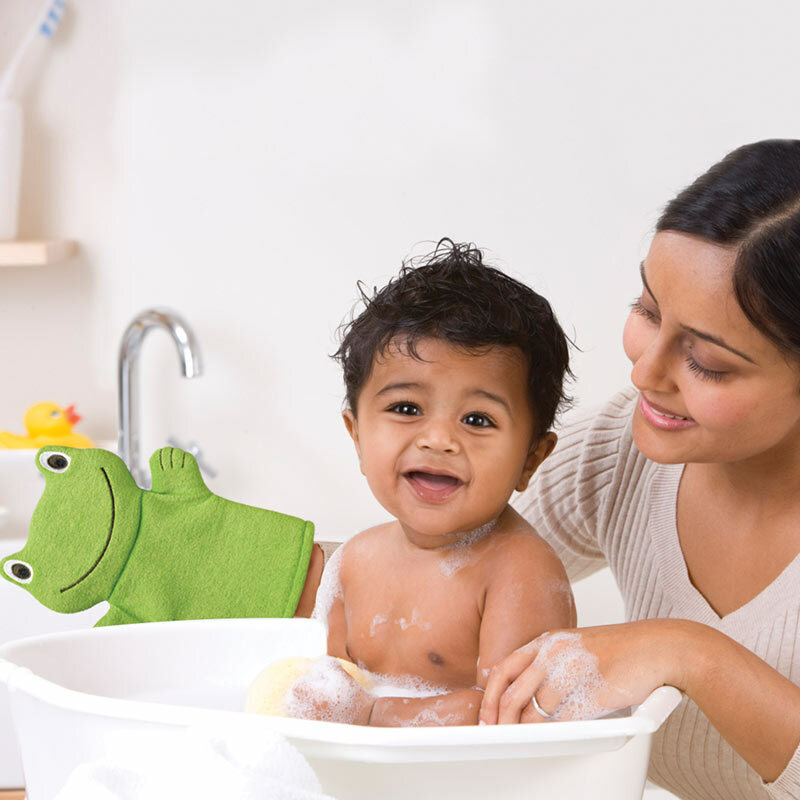 With Let’s Grow, your everyday activities will become moments to remember. You’ll see how easy it is to turn a visit to the grocery into a giggle-filled adventure with your little one! 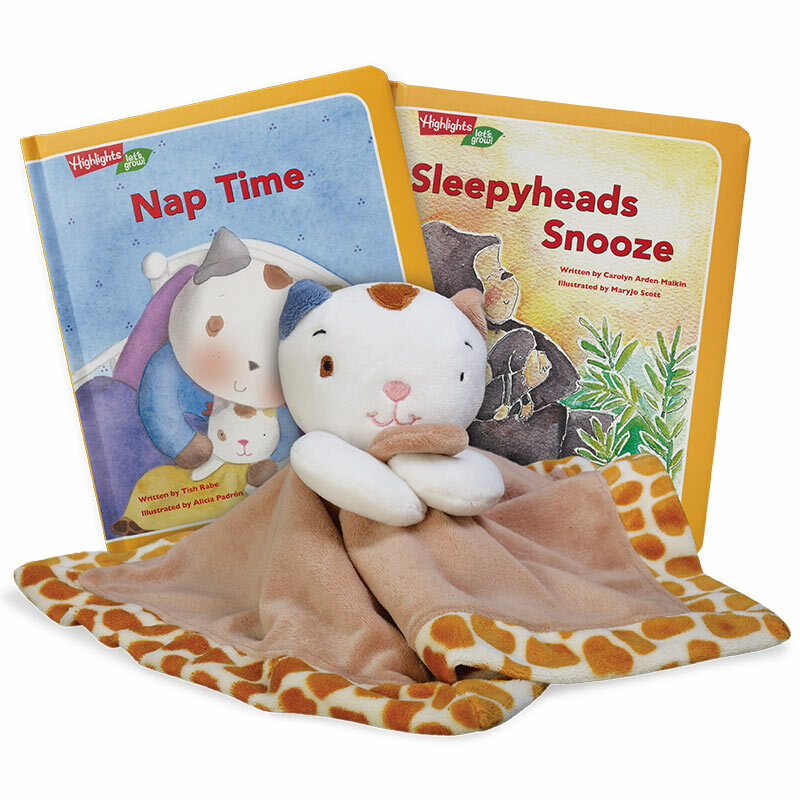 Set the stage for successful naps with sleepy-time tips, soft rhymes and a cuddly nap buddy. 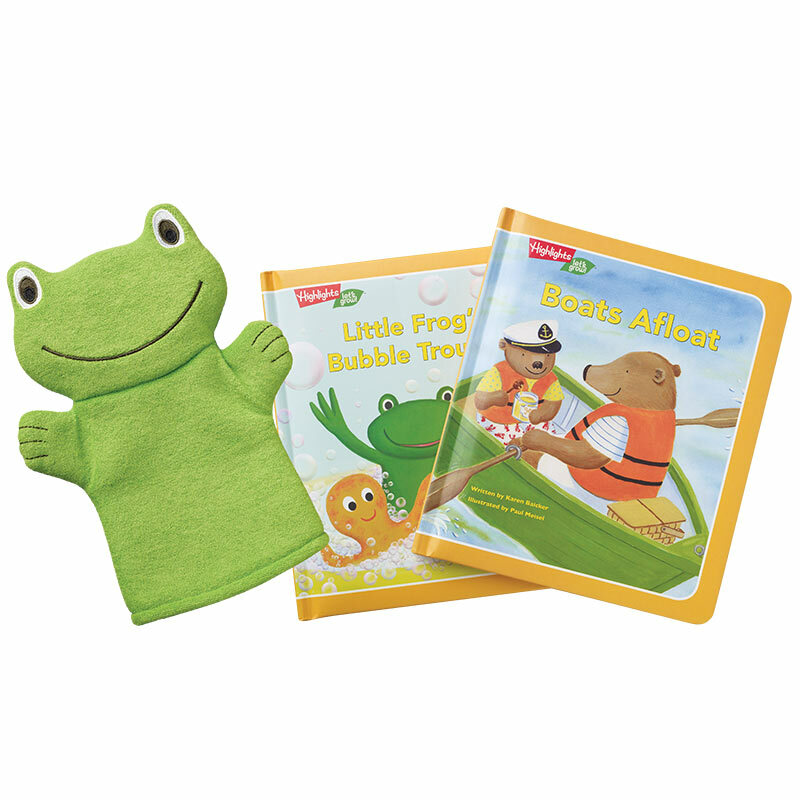 Make tub time fun for both you and your little dipper with rub-a-dub books and a washcloth frog. Encourage your child to look, listen and learn when you’re out and about with word/picture cards and stories from around town. Discover how much fun food can be with baby books, bibs and a bounty of activities about eating. You Make the Memories. We Make It Easy. Let’s Grow boxes are specially crafted by a team of early childhood experts to bring you and your baby engaging and developmentally rich experiences in the easiest way possible. As with all Highlights products, our mission is to help your child become curious, creative, caring and confident. From booties to “bsghetti,” the early years with your child are some of the most rewarding. Make the most of those moments with Let’s Grow. 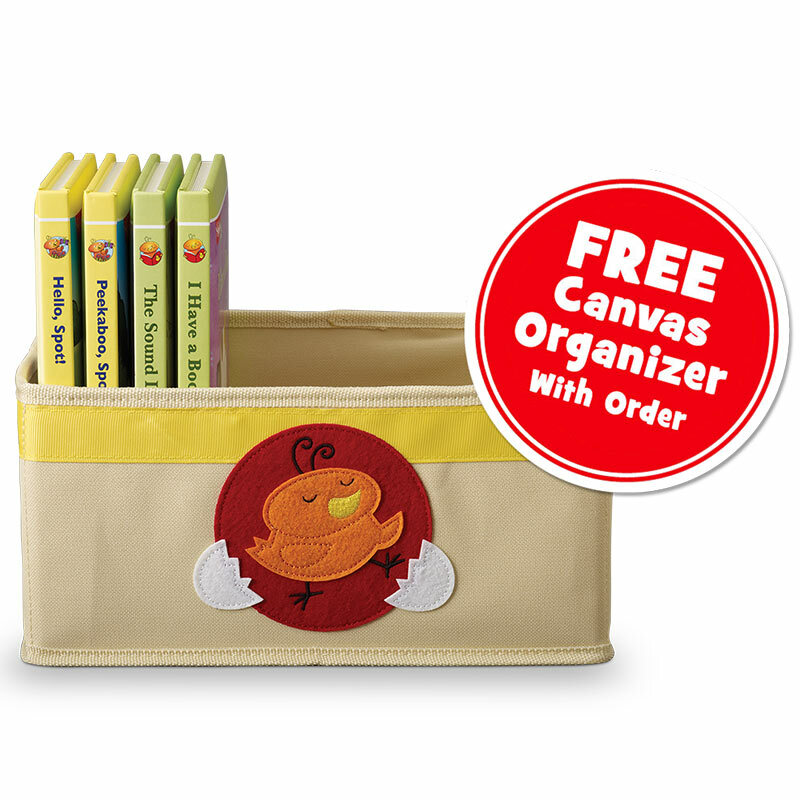 Get a canvas organizer FREE with your first box. It’s perfect for storing books, toys or baby gear! Measures 10” x 5.5” x 7.25”. 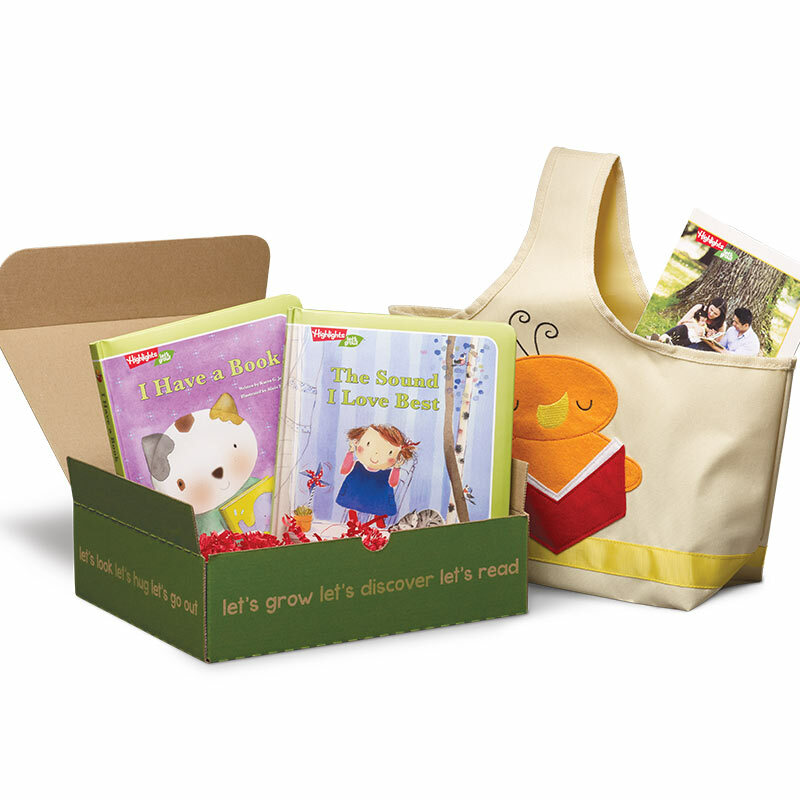 When you order LET’S GROW Play & Learn Boxes today, we’ll send you your first Box for FREE, plus $2.98 shipping and handling. We’ll also include a Sturdy Canvas Storage Bin FREE! We’ll then send a new LET’S GROW Box about every three weeks for just $24.95 each, plus $3.95 shipping and handling, conveniently charged to your credit card. There is no minimum number of Boxes to buy, and you are free to cancel at any time. You can return any shipment you don't want at our expense and receive a full refund credited to your account. Your satisfaction is 100% guaranteed. LET’S GROW is only available for U.S. delivery at this time.